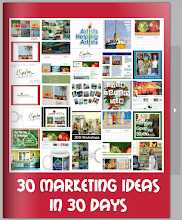 I was talking to an artist on the phone today about marketing and I was telling her about how much work it takes to successfully market your art. 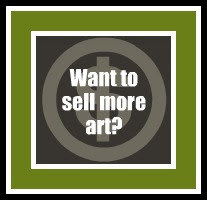 It's a constant task for me and I estimate it takes at least two hours every day to successfully market my art. Fortunately I love it. So it's fun and something I look forward to doing. But resting is a word I haven't really figured out how to incorporate in to my daily schedule. At night when I sit and watch a sporting event or TV program I get restless if I don't have my laptop or ipad on my lap. I think it's called multi-tasking and it makes me happy. But "resting" it is not. So tomorrow, once I have finished my task list (which consists of printing workshop demo photos, embroidering eight aprons, sending out my newsletter, finalizing my really cool AND NEW 30 day challenge and packing) then I am going to try to relax. Or maybe I will paint. Hmmm. Don't forget to post your two favorite paintings from the week here! Oil, 12" x 12" on canvas panel. I haven't painted many boats lately so I thought it might be fun to paint boats during this week's Monday Open Studio. I love this one because the dark trees and green reflections in the water provide a nice contrast to the bright colors on the boats. Thee third boat on the left was an after thought and was added in during the last thirty minutes. I think it balances out the composition. I'm glad I added it in! It's been a busy week getting ready for my workshop in Indianapolis. Then we have the NCAA Swimming Championships and I am home home and teaching a three day workshop on my first day back! I didn't realize March/April were going to be so busy. Of course I love it! 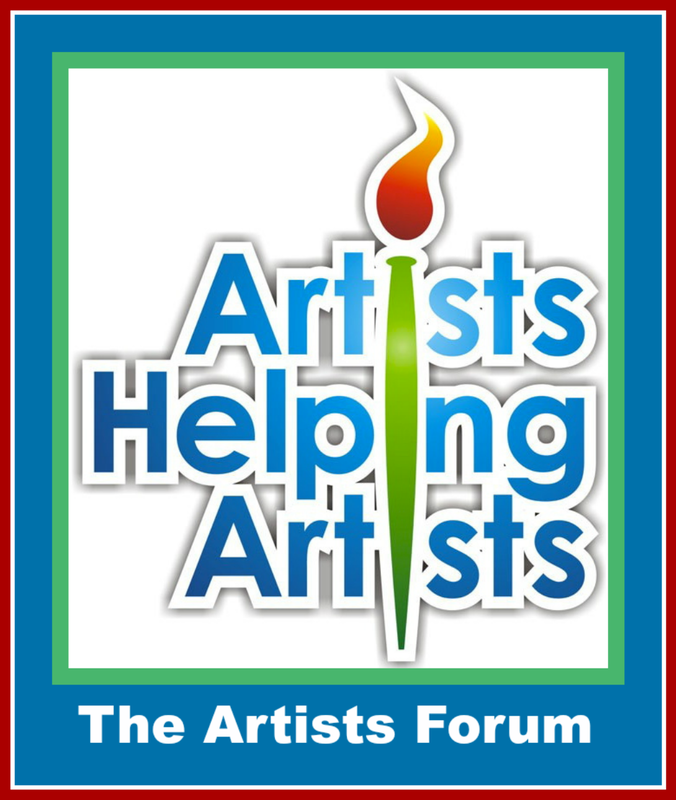 I hope you will join us for the Artists Helping Artists radio show this week. We have an amazing guest artist, Carolyn Anderson on the show. I cannot wait to interview her! Organization ... Somehow, in the last week, this word has become my middle name. 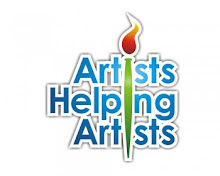 I think it was last week's "Artists Helping Artists" show that got me hooked. The show was about digital organization. On the show, in front of 15,000 people, I admitted that I had 3500 emails sitting in my inbox. And that's funny, because after the show I looked and there were actually 4500 emails in my inbox. Needless to say, there are now only 400 left in my inbox! And my office is also more organized than it has ever been. I spent over eight hours making labels for file folders, tossing stuff and filing everything in it's place. And boy does that feel good! Staying organized is really important. Clutter and "piles of stuff" can really inhibit your creativity. That's probably why my studio is always clean. In fact, when I sense any clutter in my studio the "pile of stuff" is usually removed from my studio. It's a great solution for keeping your studio clean but not good for trying to keep your office organized. As I was terribly buried in piles and file folders I somehow forgot to post on my blog and leave a place for all of you to share your two favorite paintings from this week. So my bad. And feel free to post here all week! Finally, I have a workshop in indianapolis next week and we have a few spots left. Just follow this link here if you think you might be able to join us. I am about ready to paint a larder version of this painting (perhaps a 36" x 36") and I am so excited. This is one of my favorite paintings and when I painted it (during the 30 in 30 Challenge) I was on my lunch break and in the middle of teaching a workshop. That reminds me ... big news ... the 30 in 30 Challenge will happen again this year. But I promise you still have plenty of time to rest up before the next Challenge starts again. I already miss the drive, direction and energy from the January Challenge. So I hope you will join me for a wonderful month of painting. I'll give you plenty of time to prepare but can you guess when it will be????? Oil, 8" x 8" on canvas panel. It feels great to be back in the studio again. Today was Monday Open Studio and I completed two paintings! This was the first and boy was it fun to paint! The small cranberry glass belonged to my mother-in-law and I just love how it came out! I am normally not a huge fan of carnations but I love this single one, leaning on the side of the glass. I hope you are all in the studio this month. I am aiming for four hours a day (Mon - Fri) and really hope to finish five paintings a week. Wish me luck! 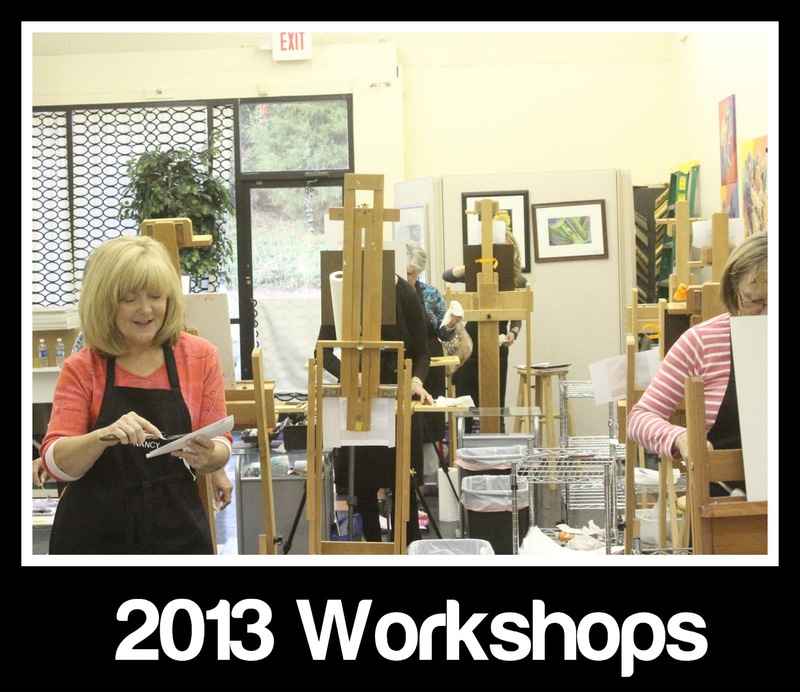 If you live near Indianapolis please consider joining me for a two day palette knife painting workshop. 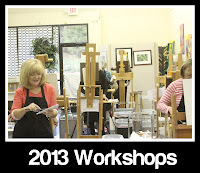 If you need a boost and want to feel goo about your art, then this is the workshop for you. 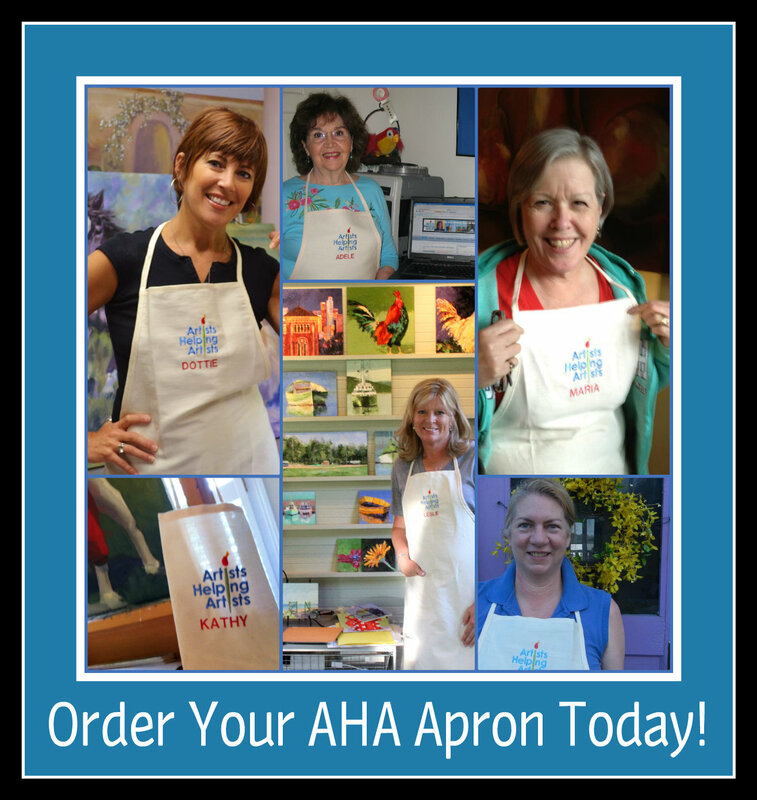 It's March 26 - 27 and there are a few spots left! Hotel accommodations are very inexpensive and we are going to have fun! Click here for more information. 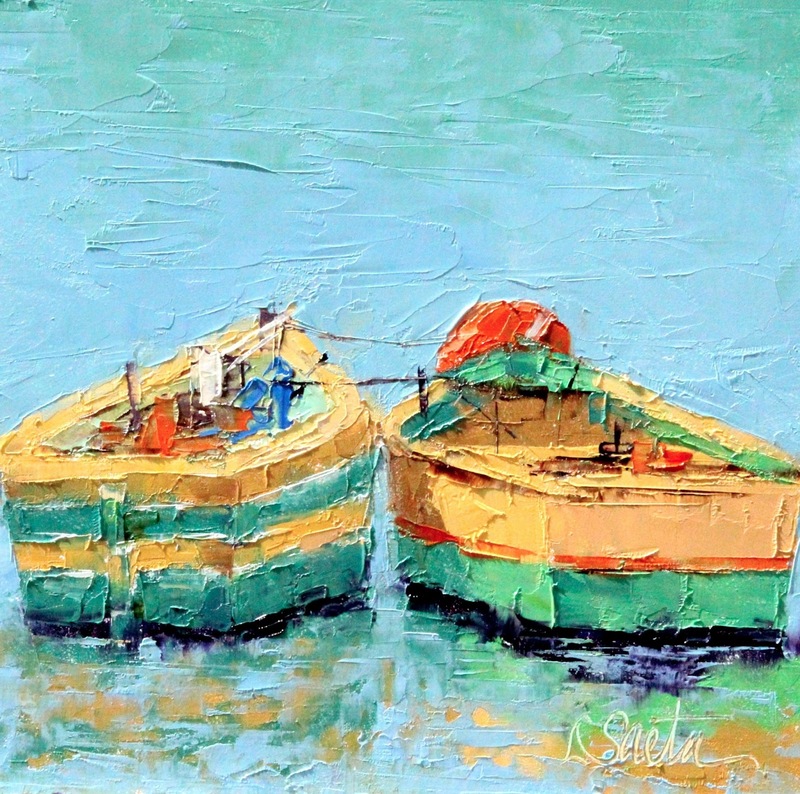 This weekend there is a wonderful show opening in Pasadena at Gale's Restaurant. It's called Art for Animals and a large portion of the sales will go to support animals and the Pasadena Humane Society. The opening is this Sunday at 3:00 pm and it is a really fun party! There are a lot of beautiful paintings featuring animals so if you are in the area please come check it out! For details, click here. Don't forget I have a workshop in Indianapolis in two weeks! Click here to find out more information. Post your favorite two paintings from the week here. I can't wait to see your art! Oil, 12" x 24" on canvas panel. This is another painting completed at one of my "Monday Open Studios". We had so much fun painting white roses and all of the paintings created that day were awesome! If you ever get lonely painting in your studio then invite a few artist friends over to have some fun. You will love it! I am still in Seattle attending a swim meet but look forward to getting home in a few days. I miss my puppy and my studio and I can't wait to paint later this week. It looks like the 30 in 30 Challenge worked. I am now restless when I don't paint. Most of you know I started the March webinARTs 101 Marketing Course this week and I had a great comment today. One of the artists commented "I can not believe I have spent several hundred dollars in the last year and a half trying to get a website up I liked. Neither of the companies I hired could do what I have done myself in the last few hours! Leslie, why didn't I sign up for this course long ago?!!!". These comments make me smile! 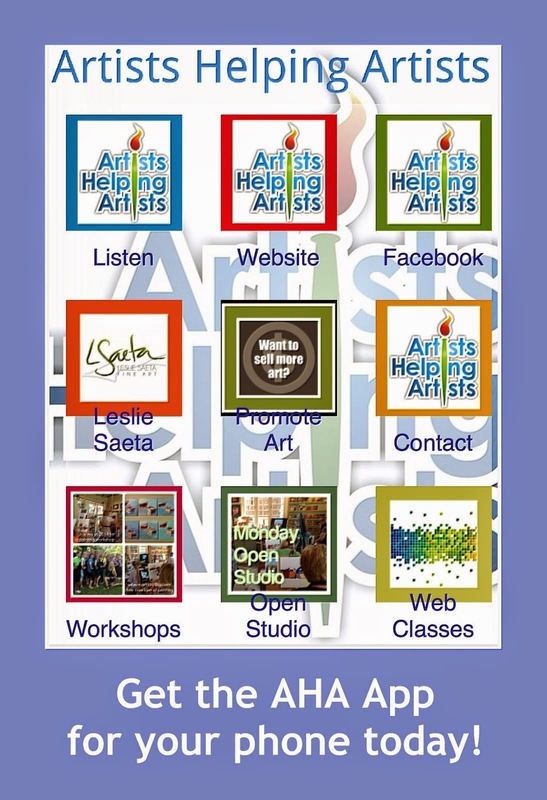 I also love the fact that there are almost a hundred artists creating a new website on day two of the class. Even if you have a website, you need to take this class. And it's not too late to sign up! During the 30 in 30 Paintings Challenge I discovered a new love for painting silver. There is something about the shine and reflections on the silver that are very fun to paint. Years ago I was a huge antique shopper and needless to say I have collected a ton of silver pieces. I have sterling silver and silver plated pieces and at some point I started collecting silver pitchers. You can expect to see a lot of new paintings featuring some of my silver collection. Of course that means I need to polish it all first! Ugh. This painting contains a silver compote that I have painted before and has some wonderful "cuties" included. And to think I didn't even have time to eat a few when I was done! My new webinARTs Marketing 101 course starts tomorrow. You can sign up any time this month but I highly encourage you to do it now. It will help your art career in a big way, I promise! I am heading off to Seattle for the Pac12 Swimming Championships. So I will be away from my studio for a few days This meet is very stressful and nerve-wracking so I please wish good thoughts and fast swims for the Stanford swimmers! Fortunately I was able to paint four paintings to post while I will be gone so my blog posts will still be arriving this week. 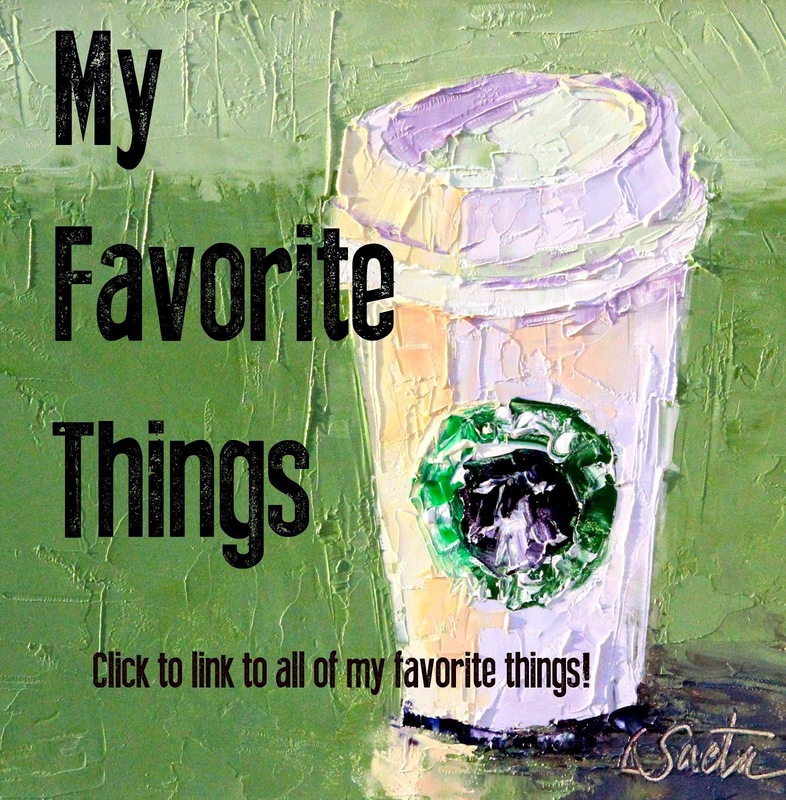 Don't forget to post your favorite two paintings from this week. You can post them until Tuesday, so please add them here! By the way, I titled this painting after the gorgeous weather we are having in southern California. Yesterday it was 90 degrees ... What can I say?